This pincushion doll has been designed as a special token of love for my dearest friend Monica Marchi, my beloved model stitcher who has been supporting me with her ability and patience since 2012. 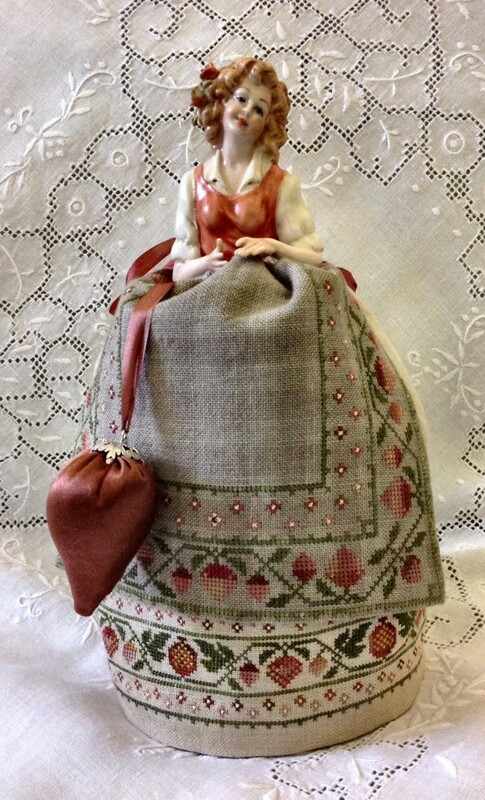 Stitched with beautiful Gloriana silk threads on hand dyed Weeks Dye Works linen, the doll is finished with Gloriana silk ribbons and a strawberry pincushion with a lovely 925° silver top made by my goldsmith friend Roberta Dazzini of Laboratorio Gli Etruschi. Monica Half Doll: 3 ½ in from her waist. Each doll is stamped with the name of the Factory. 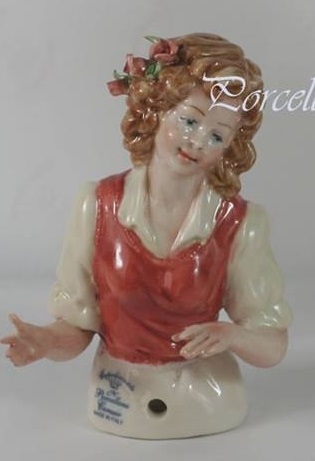 I have chosen a beautiful Italian Capodimonte porcelain half doll made by Porcellane Capodimonte Carusio Giovanni. This half doll is simply unique and the fabulous features of the doll are unsurpassable. Threads one skein each of Florimell silk threads 003 Vanilla, 053 Granny Smith Green, 114 Red Clay, 116 Olive Grove, 128 Cherry Tart, 169 Old Gold by Gloriana. 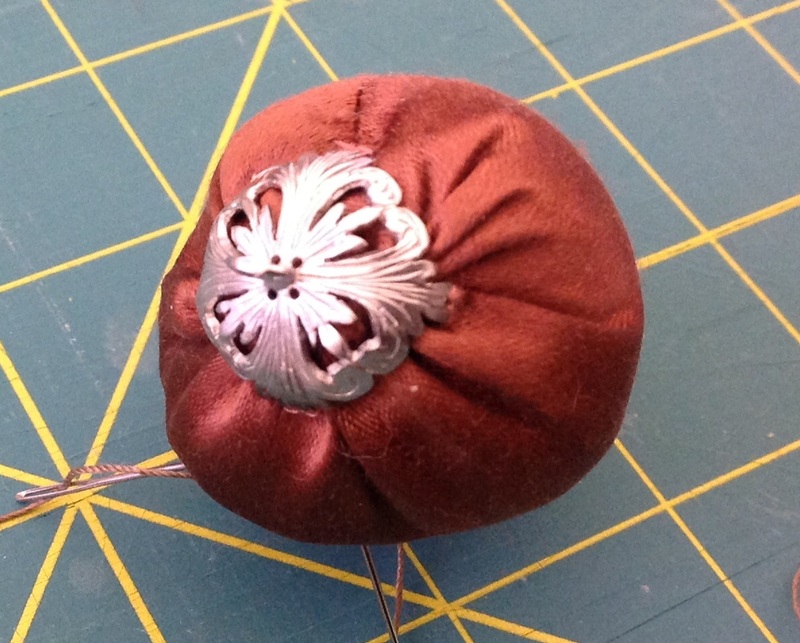 Silk Ribbon: one 7 mm Cherry Tart 128 by Gloriana.